It is quite common to find gaps in a hardwood floor; for example, gaps can occur when moisture levels in the wood fall. 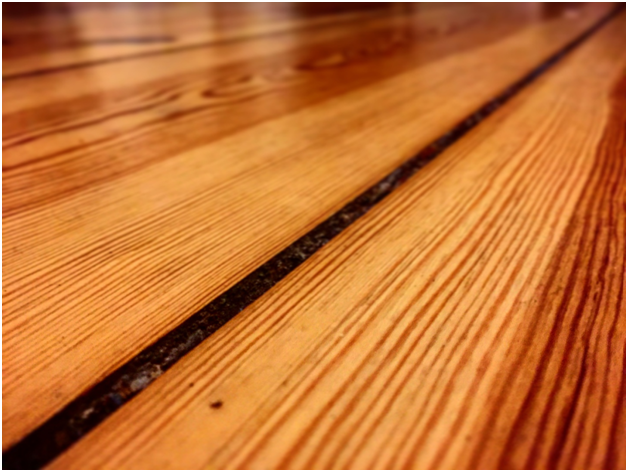 If wood floors are installed during warm weather with high humidity, gaps can appear later as the moisture is lost, especially when the central heating is turned on and dries out the air. Read on to find out when gaps in your hardwood floor could be a sign of something more serious. If gaps appear seasonally when moisture is lost, they will usually close again. These kinds of seasonal gaps often occur each year and you will usually be able to fit a coin in the gap. Different houses have different levels of humidity, with the ideal humidity level between 30 and 50 per cent. The wood will expand and contact depending on the humidity in your home; the same thing happens with wooden door frames and window frames. If a large gap appears that does not close in the summer months, this could be due to excessive levels of moisture in the air. Other reasons for gaps are wood located too close to a heater, incorrect spacing of nails, or problems with the structural settlement, which could be a cause for concern. Gaps in wood do not generally require any treatment and no filler should be added; however, for large gaps that do not close again, it is always best to get a professional to investigate. There are many types of filler for wood and a professional will be able to identify the best solution. Gaps in wood flooring, such as oak wood flooring, will always be concerning to a homeowner. Oak wood flooring is available from a number of specialist suppliers, such as www.woodfloorwarehouse.co.uk, and these will be able to help you with queries about treatments or what to expect from your hardwood floor. The best times of year to repair your hardwood floor are during April and October. These months offer the best weather conditions to deal with gaps in wood floors if they are an issue, as they always offer the right balance of heat and moisture to get a reliable indicator of the future behaviour of gaps in wood floors.